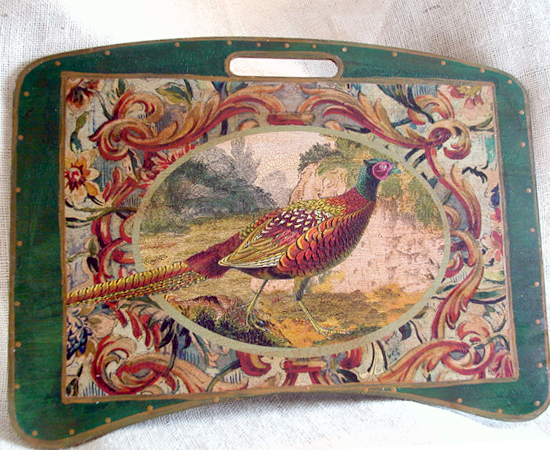 This pheasant writing table is perfect for your lap to write letters, look through a magazine or use with your laptop. It may also be hung on a wall. The wooden writing desk measures 19.5 by 13 inches, has been aged beautifully with my signature antique crackle finish and is signed by the artist.